President-elect Donald Trump "doesn't wish to pursue" more investigations into Hillary Clinton's email practices, a top adviser said Tuesday, strongly signaling to congressional Republicans they should abandon years of probes into the Clintons after a bitter campaign in which he repeatedly branded his Democratic rival as crooked. The adviser, Kellyanne Conway, spoke of "charges" against Hillary Clinton but referred specifically to Trump sending a message to members of Congress, not the Justice Department. Trump said during the campaign that Clinton would "be in jail" if he were president, but the FBI director has declared on two occasions there is no evidence warranting charges over her use of a private email account. "I think Hillary Clinton still has to face the fact that a majority of Americans don't find her to be honest or trustworthy, but if Donald Trump can help her heal, then perhaps that's a good thing," Conway said on MSNBC's "Morning Joe." "I think he's thinking of many different things as he prepares to become the president of the United States, and things that sound like the campaign aren't among them," she added, suggesting broader changes from Trump's political rhetoric." On Tuesday, the president-elect heralded "more great meetings" in his Manhattan tower as he continued shaping his administration before heading to Florida for Thanksgiving late in the day. As for further investigations of Clinton, Trump seemed to waver in a post-election interview on CBS' "60 Minutes." Justice Department investigations are historically conducted without the influence or input of the White House. Asked about investigations in that interview, he said, "I'm going to think about it. I feel that I want to focus on jobs, I want to focus on health care, I want to focus on the border and immigration and doing a really great immigration bill. We want to have a great immigration bill. And I want to focus on - all of these other things that we've been talking about." Conway suggested Trump's new posture is aimed at Republicans in Congress who have relentlessly investigated the former secretary of state, including whether classified information passed through her private email server and how she acted in connection with the deadly raid on the U.S. compound in Benghazi, Libya, that killed four Americans. 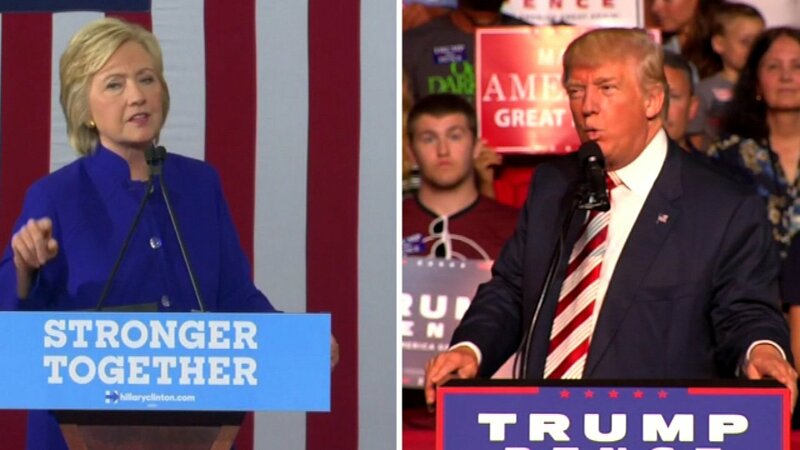 The remarks come after months of Trump calling Clinton "Crooked Hillary," questioning whether the Clinton Foundation is a pay-for-play scheme and raging against the Justice Department for refusing to prosecute her for blending private and official business on her email server. He told her face-to-face at a presidential debate that if he won the presidency, she'd "be in jail." But Trump has been promising to unite the country around his presidency, saying repeatedly he will be president of "all Americans." Not everyone is buying it - protests continue across the country - but the billionaire has been hosting a politically diverse parade of officials to his golf course in New Jersey as he's tried to fill out his Cabinet. The visitors have included Mitt Romney, the 2012 GOP presidential candidate who called Trump unfit for office. Trump called him "a loser" who "choked." Trump also repeatedly criticized The New York Times during the campaign, and he abruptly canceled a meeting with the Times on Tuesday. Trump later tweeted that he meeting was back on and he was looking "forward to it." Trump met privately Monday with representatives of the television networks.